Since the fresh age of 18 all I can remember is spending 12-15 hours a day glued to a computer screen or painting til sunrise. Back when phone cords assisted in online speed and AOL ruled the world wide web I could be found typing up a storm. Everything should be done in moderation but does that apply to what you LOVE LOVE LOVE ?!?! 15 years would pass until I'd learn that answer the hard way. It starts in the most subtle manner... I simply turned a door knob one day in 2011 and a lightning bolt of pain jolted from my wrist up my right arm as if to say... " HELLO MY NAME IS CARPAL TUNNEL. " Like most things that scare us, I simply ignored it. Thinking it would go away if I was strong enough to endure the odd sharp pain. In my mind I would be rewarded with it's dissappearance if I allowed the pain to take it's course. Boy was I wrong. 2 years would pass until my breaking point would boil over like lava. 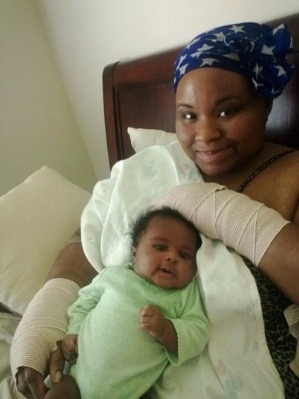 In March of 2013 my pregnancy would intensify this pain like no other and by the time I delivered there was no feeling in 3 of my fingers and I couldn't write anything over a paragraph without pausing to rub and self soothe my wrist. Something had to be done. That's when I discovered the " Shero of Hand Surgery ". 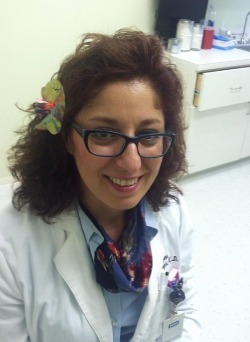 Dr. Faranak Vossoughi, M.D. - a female surgeon who's my " Wonder Woman " of Carpal Tunnel. She herself proudly displays the war wound of the surgery so she understands what you are going through without you saying a word. Its one thing to practice medicine its another to experience what hurts your patients. The procedure was a quick out patient surgery requiring a 10 day healing process. Getting both hands done was trying but the bedrest was what really drove me crazy. The hardest thing was watching others care for my daughter and not being able to hold her. Fun times were when she'd be placed on my lap in bed to snuggle. My mom came in from New Orleans to help out and so many pitched in but some days were still harder than others.